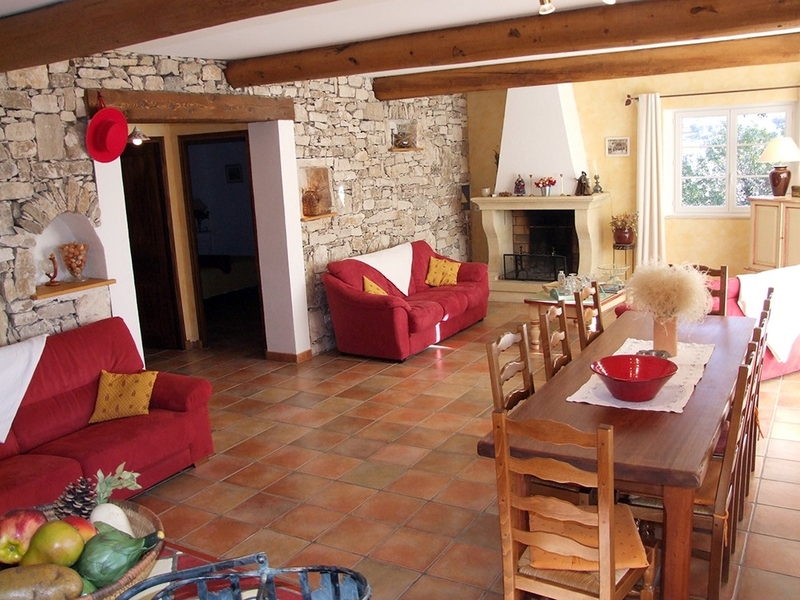 In the heart of Haute Provence, 6 km from Forcalquier, Mas Bel Air welcomes you, for a charming stay, in an old stone sheepfold, completely restored. As an island in the heart of nature, the whole, privatized by an automatic gate, where throne a borie centenary, is entirely reserved. The Mas has 2 homes (60 m² and 120 m²) on one level, with a southern exposure, everything has been designed for your well-being and comfort. 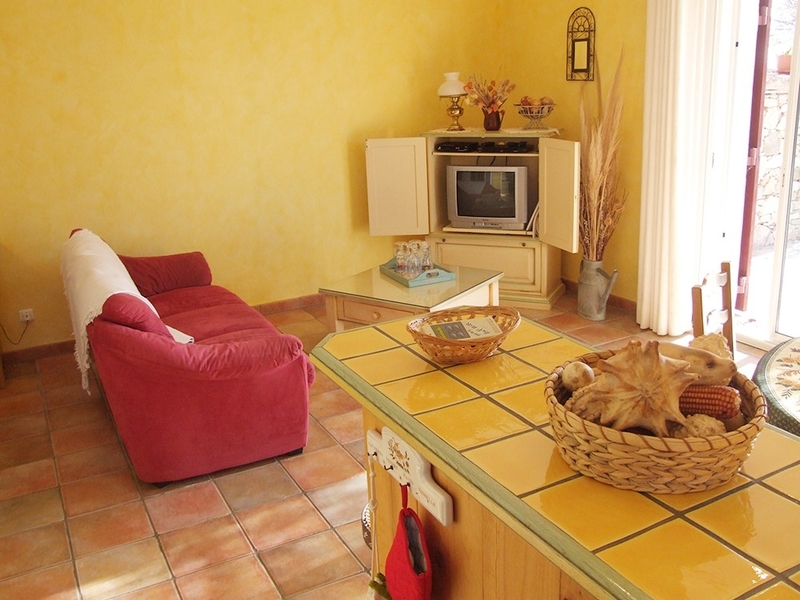 Each cottage has a shaded terrace, with panoramic views of the hamlet of St Pierre, the village of Lurs, the Valensole plateau, the mountains of Dignois country and the mountains overlooking the Gorges du Verdon. 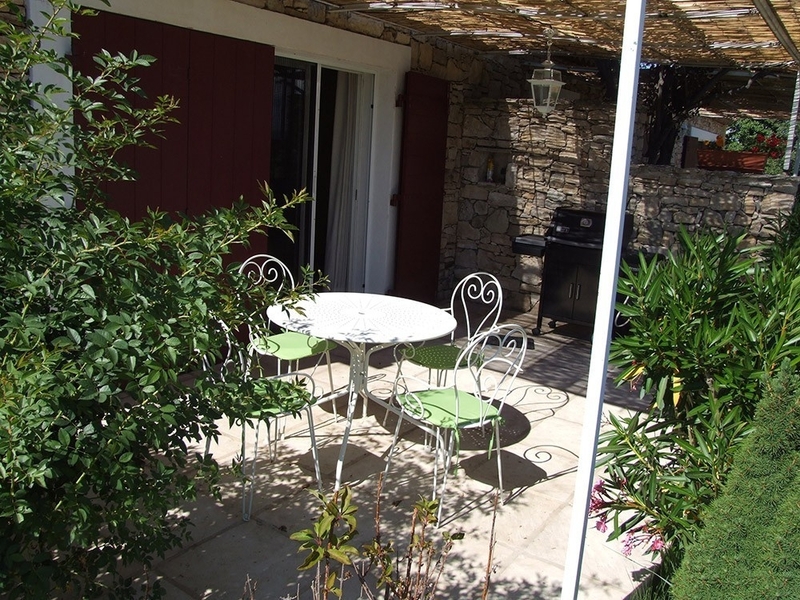 With typical Provencal decor throughout, each cottage has maintained original dry stone walls, exposed beams and regional antique furniture throughout. 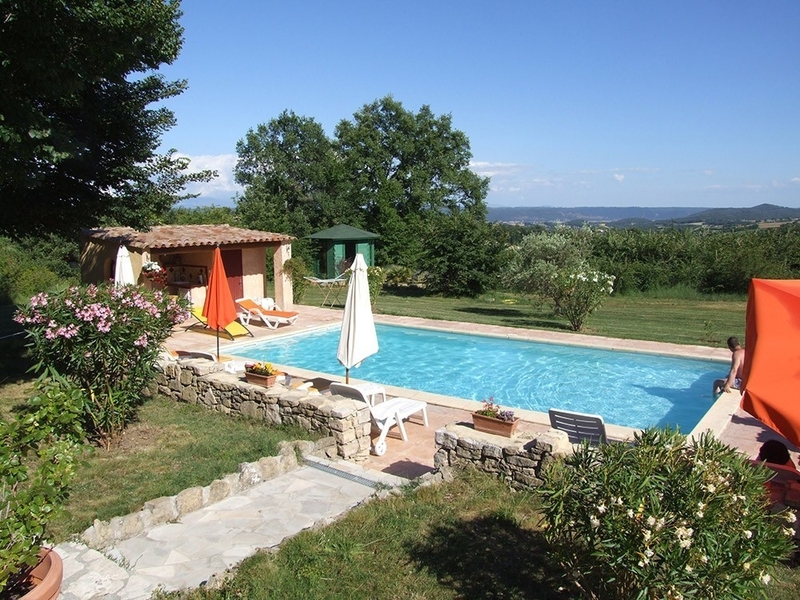 There is a private and heated swimming pool (10m x 5m) which is surrounded by a large paved terrace, where you can lay back, relax and enjoy the southern sun. There are plenty of shaded areas to escape the sun for a few moments. The property also features a Spa jacuzzi for ultimate relaxation! The bubbling baths will revitalize you, in a relaxing musical atmosphere. 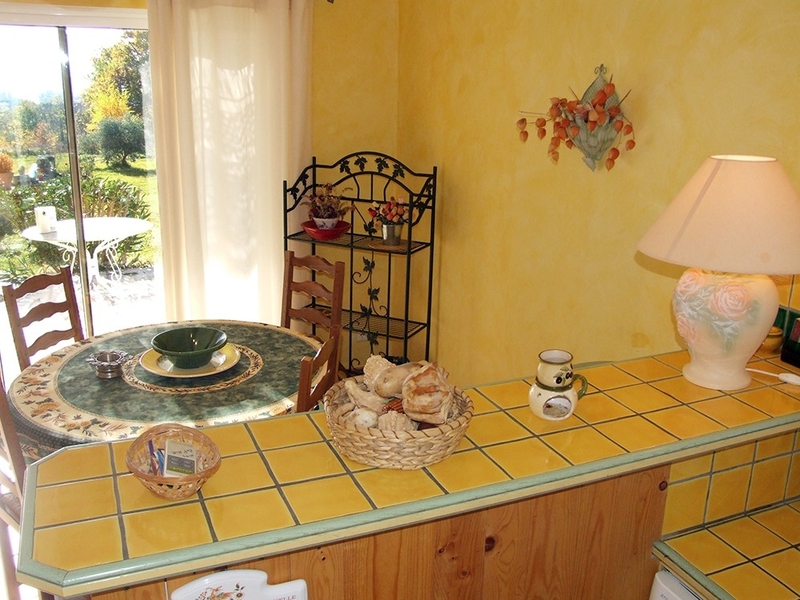 Sunflower cottage is a charming cottage where everything has been thought through for your comfort. 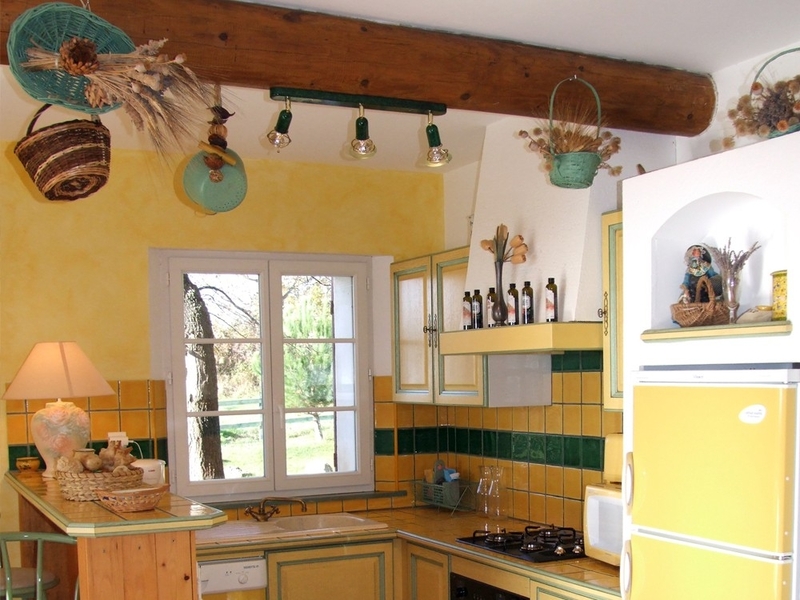 The southern colors used in the decoration bring a warm and friendly note. Washing machine common to both houses, located in the adjoining boiler room. 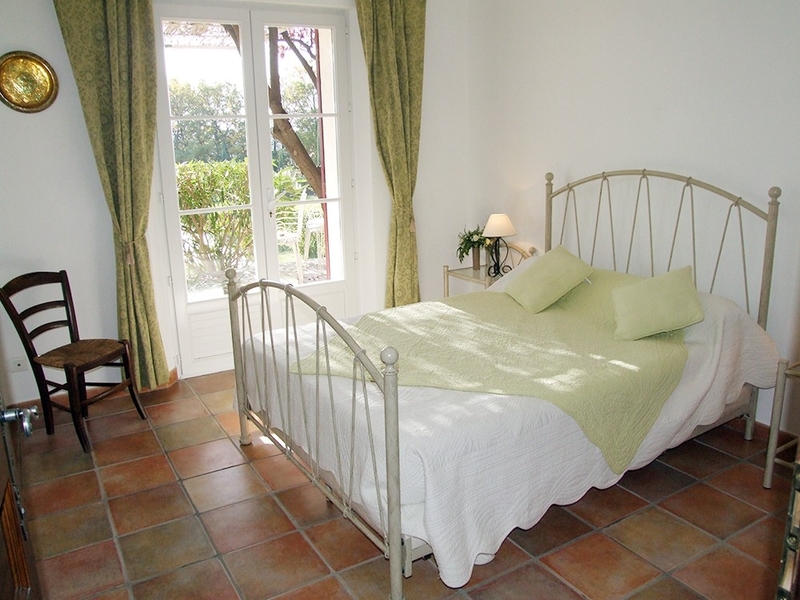 Very spacious bedroom (16 m²) with a 160 bed. 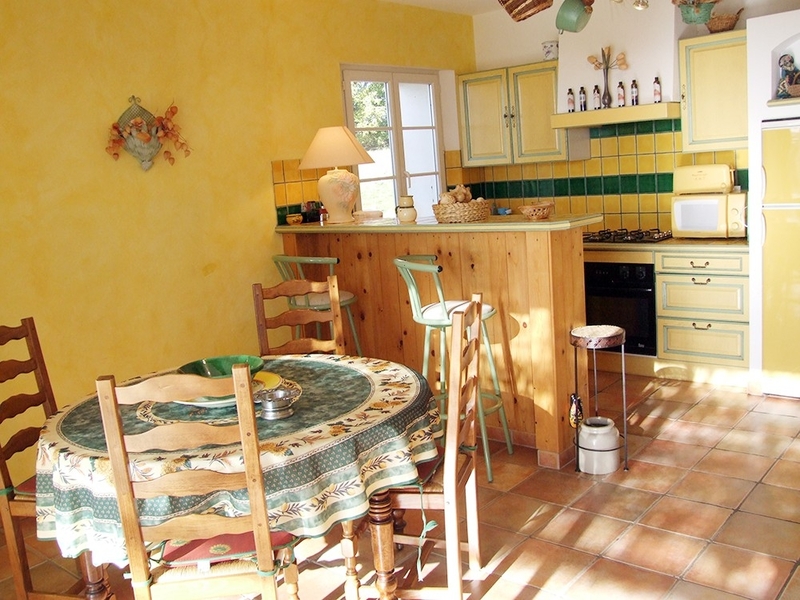 Poppy Cottage is full of character with its' dry stone walls, fireplace, beams, warm colors and Provençal decor throughout. 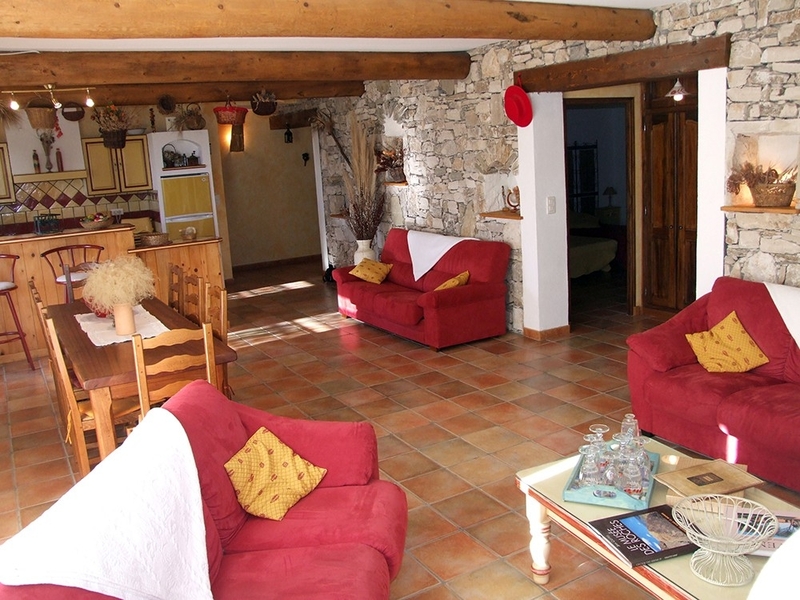 Large living room (60m²), with fireplace, interior walls in dry stone. 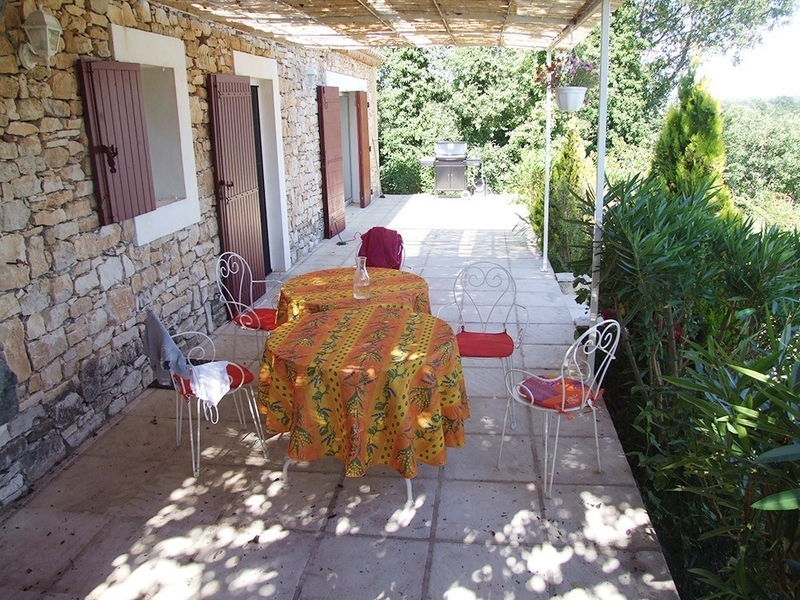 Access to the terrace by a bay window, with a view of the pool, the fields in the foreground and in the distance the Valensole plateau and the Gorges du Verdon. Large terrace shaded by an arbor, under which you can enjoy the quiet troubled by the song of cicadas or crickets in the evening, as an aperitif. Horse riding enthusiasts will be pleased to know that the Mas Bel Air welcomes you to our paddocks, where you can rent riding equipment and explore the region on horseback, at your leisure. 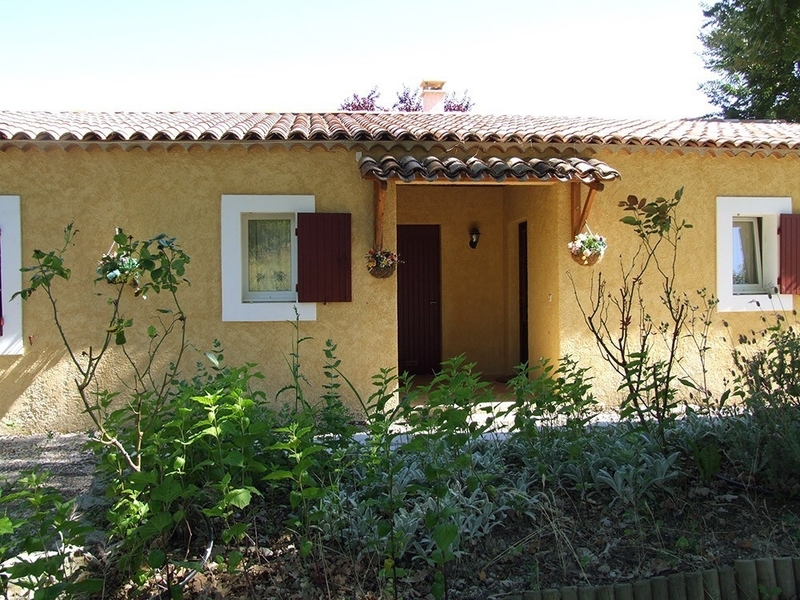 There are trails up the Lure Mountain and discover the Pays de Forcalquier. 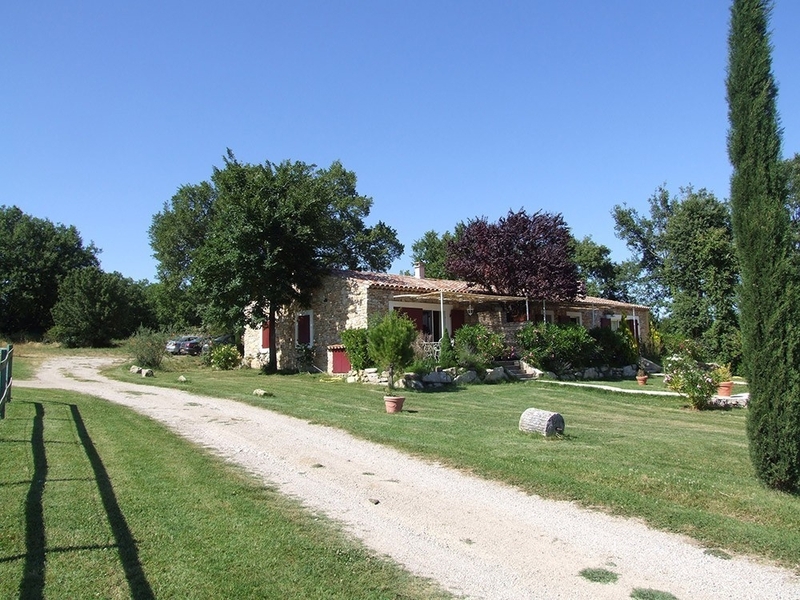 Other activities nearby include quadbiking, motorcycles for hire, visiting the Quinson Museum, the Observatory of Haute Provence and the market of Forcalquier which takes place on Monday mornings. 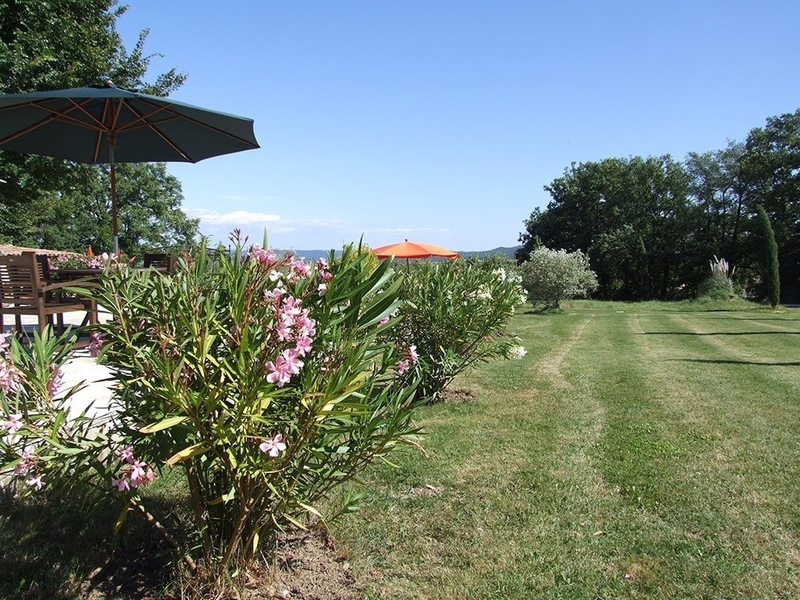 These two charming gites have both been completely reformed and are surrounded by nature and serenity, offering guests a peaceful haven to relax and unwind in this beautiful region. Minimum 2 nights, please consult us to confirm. End of stay cleaning according to state.